Long overdue post! 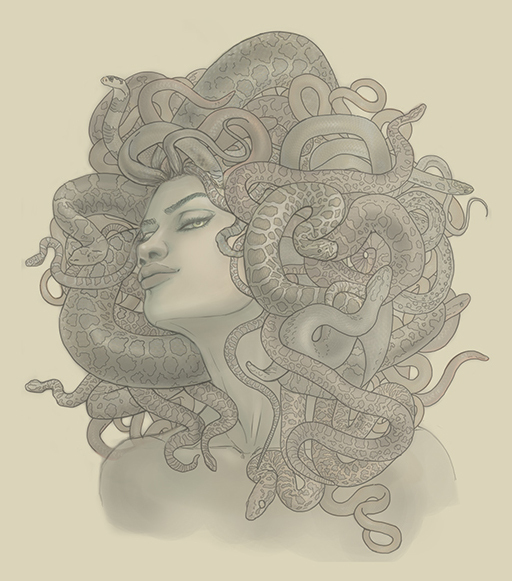 I did this illustration late last year for a wonderful client, author Constance Burris, for her book Medusa, which you can check out here on Amazon: ow.ly/EeXXn. It was a super fun project and we had a great time working together. You may remember this image from a couple years back! I should post it as a draw-this-again meme. Before I had photo-bashed a bunch of snakes into hair, and now I took the time to redraw all of them, which surprisingly was less tediously horrible than I thought it would be (all those scales ahhhhhh). When it came down to it, I liked two value studies enough to continue on with both of them, even though I was sort of sure I was going to pick the one on the right. These are super helpful, even when (like me in this situation) you have a fairly specific idea of what you want. 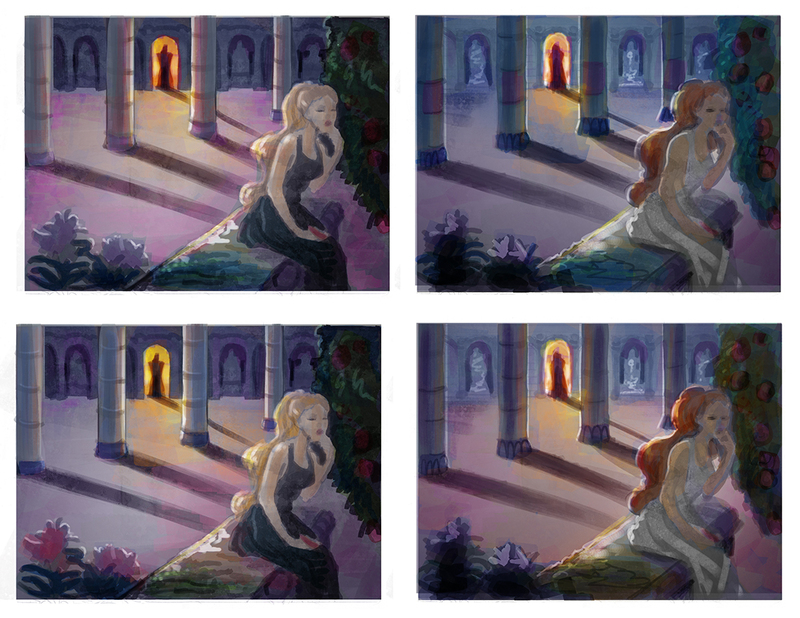 I’m going to work up the right bottom for the final painting. Even though she’s less in focus than the studies on the left, there’s something that feels right about that. 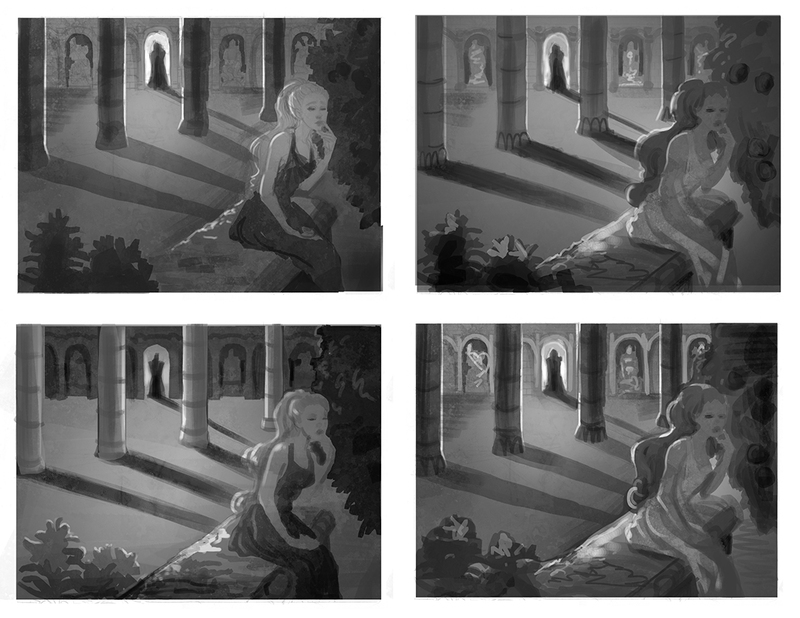 Some value studies for the Persephone painting. I like the top two, but they both have their merits, so not really sure yet. Luckily, I have a professor I can bother into helping me decide which works better. Or, please comment on which you like, pretty please! 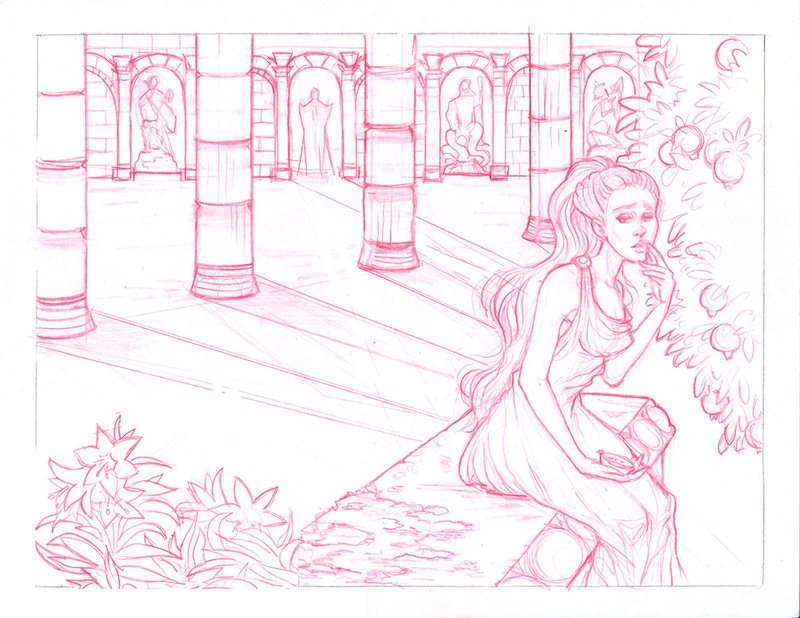 Sketch for a painting I will be starting soon. 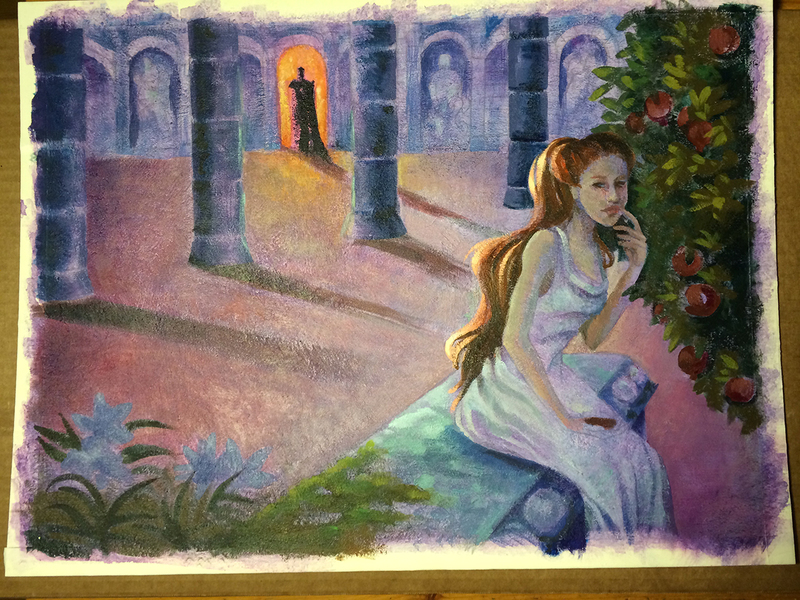 It’s with acrylics (blaaaaaaargh), so let’s hope it goes well. More coloring practice…heh, the title is ridiculous, sorry.